NY Sports Med & Physical Therapy Choose MoveStrong For Patients. NY Sports Med and Physical Therapy is one of the leading sports medicine companies in New York that provides a personalized, comprehensive and holistic approach to physical and sports medicine and rehabilitation. NY Sports Med specializes in treating athletes, getting them beyond pain and back to peak performance. With specifically tailored medical programs including physical therapy and sports medicine, physical therapy and rehabilitation, electromyography, joint fluid replacement, and more; NY Sports Med chose MoveStrong to aid in their efforts to help athletes obtain a full recovery and reach optimum functionality. 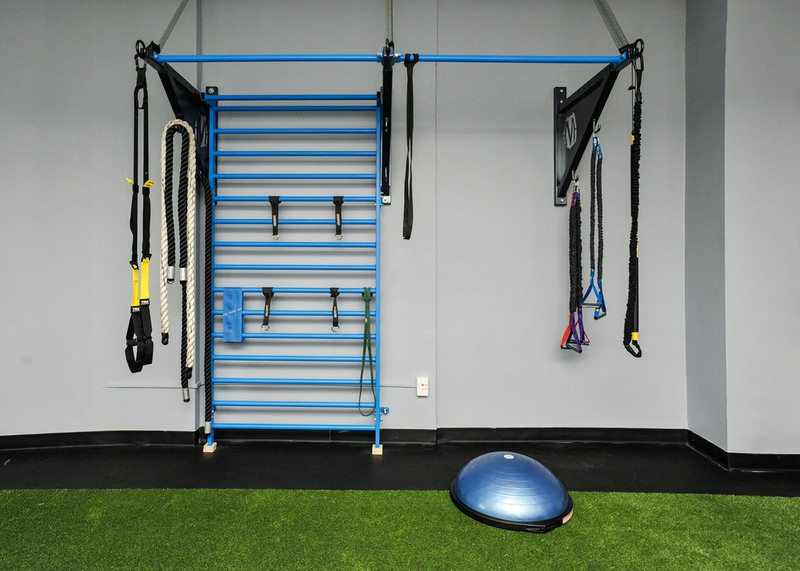 NY Sports Med recently installed the MoveStrong Pull-up Bracket System with Stall Bars and the Squat Stand System with the Fat Grip Pull-up bar option. Used for an array of strength training exercises and flexibility movements, the Pull-up Bracket System with Stall Bars and the Squat Stand System is an ideal choice for helping restore function and strength in their patients.